When it comes to scoliosis treatment, you have several choices; Chiropractic, Physiotherapy or Surgery. Learn the differences and long-term outlook before you opt for care. Chiropractic, Physiotherapy or Surgery. Which Option is Better and Why? If you or your child suffer from scoliosis, you need to know that you have options. 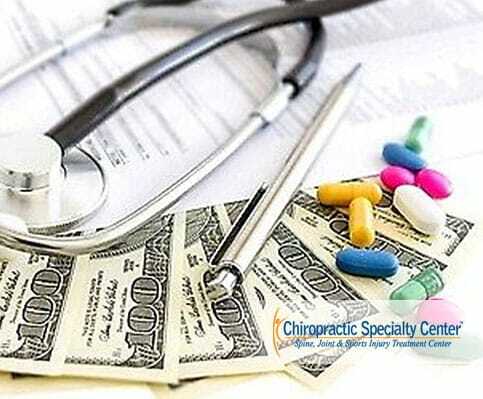 Chiropractic, physiotherapy or surgery are the three options most commonly offered to sufferers. Regardless of the option chosen, successful outcomes are conceivable when the provided therapeutic or surgical approach is based on the correction of a three-dimensional disorder. Some clinics and centers approach scoliosis treatments from the standpoint of the side-to-side bending. Their attempts are solely based on the straightening of the lateral curve (side bending). While this approach may have some limited application, it fails to consider the three-dimensional component of scoliosis. As a result, the successes that are achieved are short-lived or limited at best. Some approach scoliosis from a muscular aspect, giving it all they got from a stretching and exercise point while ignoring the joint or the spinal disc. Others pay attention to the joint complex but yet fail to understand that joints do not move on their accord. Scoliosis is a condition that can be treated through chiropractic, physiotherapy or surgery. But, we recommend non-operative means of treatment. Surgery should be the last option. In other words, you should consider scoliosis surgery only when effective non-surgical means fail. Scoliosis is treatable non-invasively. However, the care you get must be targeted and conditioned specifically. The majority of doctors that evaluate scoliotic x-rays fail to recognize that a scoliotic spine is a three-dimensional disorder depicted in two-dimensional films. Their failure in approaching scoliosis from a three-dimensional aspect has much to do with their skills, knowledge, and experience. It’s critical to understand the three-dimensional nature of scoliosis. Unfortunately, it is not just some in physiotherapy who fail to consider the three-dimensional aspect of scoliosis but also chiropractors as well as medical doctors. The flaw is perhaps how some interpret a scoliotic x-ray. While x-rays are critical in the assessment of scoliosis, it must be kept in mind that the image being viewed is that of a three-dimensional structure on a two-dimensional image. In other words, an X-ray image is just a two-dimensional image. The failure to comprehend the three-dimensional aspects of scoliosis is in our opinion is the leading cause of ineffective non-surgical scoliosis treatment. The clinical teams of Chiropractic Specialty Center have the training, expertise, and knowledge needed to offer the most efficient form of holistic care for scoliotic patients. Our methods of treatment consider every aspect of scoliosis and the three-dimensional component of a scoliotic condition is critical to our treatment plan. But don’t take our word for it, visit a Chiropractic Specialty Center today and compare our methods of scoliosis treatment to others. Judge for yourself and then decide who has the better team. A scoliotic condition is a complex multi-faceted disorder of the spine that requires expert care that targets malfunctional segments and structures. Therapeutic procedures and methods work if they are based on the needs of a scoliotic patient. Mainstream methods of physiotherapy and scoliosis don’t go well together. And to be honest, the same applies to the standard chiropractic treatment of scoliosis. Physiotherapists can have a significant impact on their treatments if the care they provide is scoliosis-specific. Specificity in scoliosis treatment is inherently linked to its three-dimensional component. So before choosing a center for your treatment, make they have the experience, skills, and knowledge because the physiotherapy treatments for scoliosis differ when compared to care provided for typical spine conditions such as back pain, neck pain, or slipped disc. Some with a scoliotic disorder will have lifelong symptoms as well as physical deformities that are often progressive. For most, living with scoliosis is a struggle physically and emotionally. The progressive nature of scoliosis is the leading reason why many continue to be subjected to insecurities or emotional and physical symptoms well into their adult lives. Those with the slightest improvement of their scoliotic curve and improvements in posture find help in dealing with the physical and emotional burdens of scoliosis. Braces, regardless of type, have been found ineffective in addressing these issues. However, proper, target-specific chiropractic treatment is now offering much hope for those in need. So, if you have scoliosis the type of care you get is critical, but more important is the center that offers chiropractic, physiotherapy or surgery for treatment of your scoliosis. Almost every chiropractic clinic, physiotherapy center or hospital offers treatment for scoliosis. But only a few offers targeted treatments that are scoliosis specific. So, if you have scoliosis the type of care you get is critical but more important is the center that offers chiropractic, physiotherapy or surgery for treatment of your scoliosis. It is important to mention that chiropractic, physiotherapy or surgery does not cure scoliosis. Scoliosis is a life-long condition. Targeted chiropractic adjustment (treatment) or scoliosis-specific physiotherapy procedures can help improve muscle strength and joint mobility for better functioning muscles, ligaments, joints, and spinal discs. With a better tone of the spinal joints and soft tissues (muscles, ligaments, and spinal disc), posture improves. Improvements in posture can impact the scoliotic curve to a point where some corrections are possible. But, the most critical significance of target-specific chiropractic or physiotherapy treatment is whether it decreases the chance of progression. In addition to improvements in posture, chiropractors can address pain and other symptoms associated with adolescent or adult scoliosis. Should you opt for a Surgical Option? We spoke of chiropractic, physiotherapy or surgery as your three main treatment options for scoliosis. As much as it pains us to admit, surgery is an option! But, do keep in mind that surgery is often recommended prematurely. Also, surgery involves risks and as such should be avoided unless effective non-surgical means fail to halt progression. Most surgeons recommend surgery before the age of 14. At times, they may relate that surgery is the only option and needed immediately, or that the modern surgical interventions are less invasive or carry fewer risks. But, in our opinion, any surgical intervention is an invasive procedure that carries risks and as should be opted for only as a last option. In other words, even if you are recommended a surgical intervention, you may want to exhaust all of the non-operative options first. Is Spine Operation a Good Option? Surgery may not be your best option. In fact, numerous published research articles have debunked many of the claims made for surgical outcomes. Please do keep in mind that we are not opposed to surgical interventions when needed; we simply recommend a non-operative path as your first and second option, with surgery a distant third! For your review, we have provided excerpts of some published reports. Additionally, we have PDFs of some these reports, attached to links under the excerpt, when permitted by authors. We have done this to enable your investigations of surgical options so that you can make an informed decision. Dr. Martha Hawes’s published research: “Even a successful surgical intervention does not get rid of scoliosis; however, it can introduce irreversible issues.” Additionally, she mentioned that there aren’t studies that present the long-term implications of spinal fusions for scoliosis. A published article on the BioMed platform in 2008 related alarming statistics of postoperative benefits. This multi-doctor debate related that nearly a third of all postoperative patients lose the benefits achieved through surgical intervention in less than a decade. We have also provided this article for your review; please click on the highlighted blue text above to download this eye-opening research article. Should you see a chiropractor for your scoliosis? Our answer is a resounding YES! The benefits of research-based targeted chiropractic treatment of scoliosis are undeniable. A good clinical chiropractor can be an excellent provider of needed conservative care for scoliosis patients. Our Doctors of Chiropractic can provide you with indispensable treatments, self-help tips, and advice. Our goals are to help in halting further progression. The difference between our chiropractors and others is that we approach scoliosis through targeted integrative methods based on most effective physiotherapy, exercise rehabilitation and chiropractic treatment procedures for scoliosis. The key to successful outcomes is the timely care through our collaborative treatments, targeting this three-dimensional disorder. In our centers, you will find the best alternative care. Best of all, we do not use braces as they only hamper clinical successes. Chiropractic Specialty Center® assesses scoliotic disorders from a biomechanical standpoint with an understating that the human body is a three-dimensional structure. The three-dimensional aspect of scoliosis can look like a helix, which is often the result of malfunctions of joints, spinal discs, ligaments, and muscles. Any form of lasting stabilization or correction can only be achieved by addressing the entire joint complex as a whole, instead of the singular methods that most chiropractors use. Why Surgeons Oppose Non-Operative Solutions? Non-specific methods of chiropractic or physiotherapy are incomplete for a scoliotic patient. As such, many orthopedic surgeons who specialize in scoliosis hastily recommend surgical intervention with strong convictions. Some surgeons are all too happy to point to the failures of the incompetent physiotherapists and chiropractors as failures of these professions in treatments of scoliosis. We believe that these statements are injustices to patients and an affront to centers and clinics like ours that are committed to offering effective scoliosis treatment options. Chiropractic, physiotherapy or surgery are the three options, but the best options are those that do not involve spine surgery. We have even been made aware of derogatory statements of some surgeons: “If chiropractors were so good, we would have them working in hospitals!” Over the last 130 years, chiropractors have time and again proven their effectiveness in treatments of the spine, joint, and scoliosis. Their clinical successes were the critical reason why many governments operated hospitals along with the military hospitals in the United States of America offers chiropractic treatments today. Unfortunately, this is yet to catch on when it comes to the private sector. While we can’t speak for the rest of chiropractors in Malaysia, we can inform you of our experiences. Not long ago, our director, Dr. Yama Zafer, D.C. (Doctor of Chiropractic) was approached by local hospitals. In fact, he was contacted by two separate hospitals in the Klang Valley. However, those efforts proofed fruitless as there was significant opposition to having us provide treatment at the hospitals. Not surprising was that objections were solely based on the possibility of reduced surgical interventions, leading to decreased revenue for surgeons and shareholders. Visit our center today for more information on Chiropractic, Physiotherapy or Surgery for a scoliotic spine today. We mentioned earlier that two hospitals were interested in our methods of care. Both were eager to incorporate our methods into their systems of treating spine, joint, sports injuries and scoliosis. In one such instance, spine surgeons threatened to tender their resignation should a Chiropractic Specialty Center® be launched at the hospital. On the other occasion, the hospital’s management felt that the inclusion of our methods would lead to disgruntled surgeons because of fewer surgical interventions, impacting the finances of the hospital and their surgical teams. 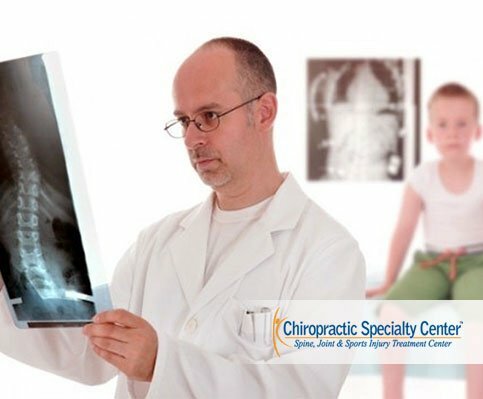 To conclude, we adamantly believe that we can improve spine, joint, and scoliosis treatments if given a chance. 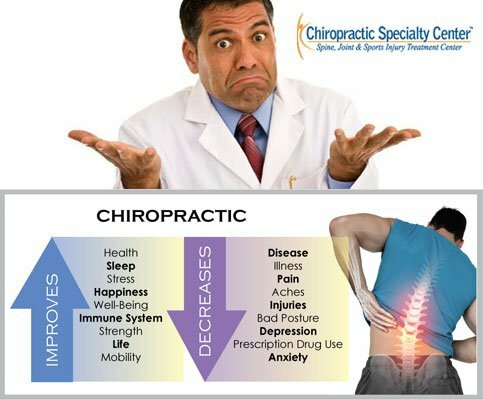 We are seriously seeking partners that overlook the typical stereotyping of a chiropractor so that we can bring the needed changes in the broken healthcare delivery. Chiropractor, Physiotherapist or a Surgeon: You Decide! Healthcare today is based more on sickness rather than health. Health care should be about keeping people healthy and not waiting until the 11th hour before rendering care. Today, scoliosis patients are neglected; care is given when the scoliotic curve reaches the 45-degree mark, a classic case of what we call “sick-care.” Often, patients are told to do exercises, yoga, or other forms of care that are known to be ineffective, a tragedy that needs stopping. Would it not be better to offer these kids effective alternatives to surgery, rather than a wait-and-see approach? Our goal is to identify and treat patients with scoliosis as early as possible. While Chiropractic, physiotherapy or surgery are your options, our centers can only help with Chiropractic and Physiotherapy treatment of scoliosis. Spinal surgeons spend a lifetime perfecting surgical interventions, while clinical research-based chiropractors and physiotherapists spend years in development and improving non-surgical means of care. So, naturally, they find themselves on opposite sides. This clashing of attitudes has led to a hostile environment with life-changing consequences for the scoliotic child. Our clinical staff has put forth efforts to communicate with surgical centers, hospitals, and spine surgeons in the hopes of creating a healthy, communicative environment that benefits both professions but, most importantly, those whom we serve. Call us today to understand your choices between Chiropractic, Physiotherapy or Surgery for scoliosis.